This is the complete log of SimplyHelp projects and activities that occurred during the year 2001. 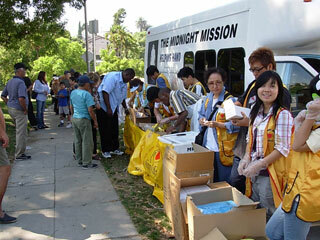 Simply Help distributed food and Christmas gifts for children to 300 households in Downtown Los Angeles. Conejo Valley Reverie Orchestra held a Solicitude concert at Thousand Oaks High School. Half of the income was donated to SimplyHelp. SimplyHelp volunteers participated in the event. SimplyHelp sent its first shipment to Guatemala. SimplyHelp donated food to David Sa, a New Life, Love Missionary Church Pastor. The pastor is helping drug addicts and prostitutes to quit drugs and live a new life. He feeds 500 homeless people per week. SimplyHelp will deliver another truck of food to him soon. 12/01/01 Click Here To See A Press Clipping For This Event! Simply Help distributed 30 boxes of energy bar’s to homeless at a church in downtown L.A.
A food bank was created in downtown Los Angeles. 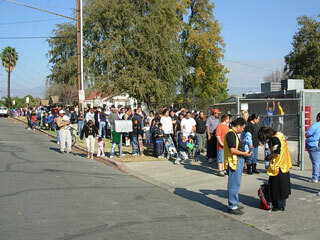 On Thanksgiving Day, the volunteers of SimplyHelp and a church fed nineteen L.A. local families. SimplyHelp shipped a 40 -ft. container of food and clothes to Honduras. The food was donated by Pic N Save. SimplyHelp shipped a truck of furniture, clothes and toys to the south of Mexico. Mr. Chen, a SimplyHelp volunteer, went to Cambodia, purchased 55,000 pounds of rice, and distributed it to 1,000 families. Each family received 55 ponds of rice to meet their need. In addition, three containers of donation were distributed by the US Ambassador of Cambodia to local residents. SimplyHelp shipped a 40 -ft. container with food to Honduras. SimplyHelp donated a truck with food, painting material (to re-paint the building) and a refrigerator to an orphanage on the border of Mexico. SimplyHelop shipped its first container to North Korea. The shipment contained food and clothes. SimplyHelp shipped a third container to Cambodia, the donation included food and clothes. SimplyHelp shipped the second container of medical equipment, clothes and toys to Cambodia. 08/17/01 Click Here To See A Press Clipping For This Event! Shipped a 45 -ft. container of food donated by Pic N Save to Honduras with 10,000 lbs of rice donated by Ms Doung and a Buddhist Temple. 08/12/01 Click Here To See A Press Clipping For This Event! Over 40 volunteers spent six and half hours packing two 45-ft. containers. Mario delivered a truck of biscuits and lighters to San Diego to be picked up by The Orphanage of Tijuana. A full truck of canned food was sent to the Orphanage of Tijuana. 07/07/01 Click Here To See A Press Clipping For This Event! Simply Help Inc celebrated its First Anniversary with about 150 quests. During the celebration, some honorable guest, corporations and volunteers were rewarded with recognition, and $18,450 was raised through an auction. With the help of packing from our volunteers, the first container with medical equipment, a piano, computers, mattresses, clothes and toys were shipped to Cambodia. SimplyHelp donated a truck load of lighters and biscuits to the Orphanage of Tijuana. 06/28/01 Click Here To See A Press Clipping For This Event! Pic N’ Save donated a truckload of dog food. Simply Help distributed 13 boxes to the Humane Society in San Diego. 06/17/01 Click Here To See A Press Clipping For This Event! 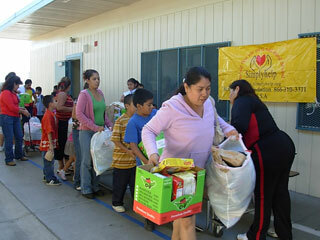 SimplyHelp shipped a truck of rice, beans, hats and toys to Ensenada, Mexico. The trip, though exhausting, was truly rewarding when the volunteers saw the appreciation and laughter in the face of the needy. 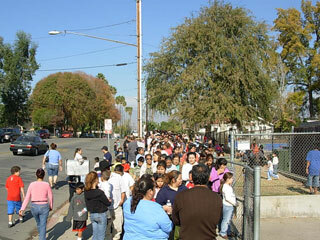 Part of the supplies was distributed in Tijuana on the way back. Simply Help Inc. was granted non-profit organization license by Federal Government. SimplyHelp Inc. was granted a non-profit organization license by the State of California. 04/13/01 Click Here To See A Press Clipping For This Event! After two more devastating earthquake aftershocks in El Salvador, SimplyHelp’s fourth 45-foot container of relief goods is headed for the disaster area. The shipment consists of 20,000 pounds of rice, 8,000 pounds of beans, medical supplies, and building materials for fifty houses. 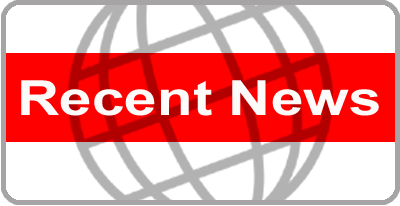 03/03/01 Click Here To See A Press Clipping For This Event! The founders of SimplyHelp, Tina and Mario along with volunteer Lydia, traveled to the stricken area in El Salvador. Much to our surprise, SimplyHelp was the first group to reach the region. With the assistance of local volunteers, the relief supplies (rice, beans and flour) were packed into kits, and distributed in a highly organized fashion to residents. Tired and hungry, the volunteers were inspired in seeing thousands of people from 5 local villages receive lifesaving support. On February 13, another devastating earthquake of 6.6 degrees wreaked havoc on regions of El Salvador causing widespread damage and death. In quick response to the local relief agencies, a third 45-foot container loaded with 55,000 lb of rice, beans, canned goods and medicine was shipped to the disaster zone. 02/10/01 Click Here To See A Press Clipping For This Event! 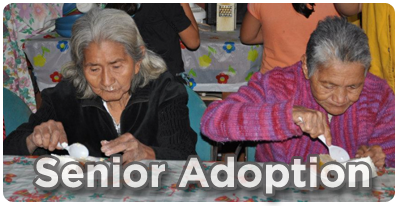 SimplyHelpl traveled to Tijuana to visit a reform school and several orphanages located there. SimplyHelp presented these institutions with donations of rice, canned food, medicines, dried goods, clothing, as well as a washing machine, piano and refrigerator. Through the kind support of many in the community, SimplyHelp’s charity bazaar was able to raise $2,005 through the sales of food and handicrafts. This set a record for proceeds from such activities. During the celebrations of the Chinese Lantern Festival, SimplyHelp was able to raise $1,124 in funds with the enthusiastic support of various corporate sponsors to provide financial aid to victims of natural disasters in El Salvador. 01/26/01 Click Here To See A Press Clipping For This Event! More aid for El Salvador’s earthquake victims has been quickly raised, due to the dedication of staff and volunteers and warm-hearted support from the community corporate sponsors. SimplyHelp was able to ship another 45-foot container with 55,000 lb of supplies including rice, beans, flour, medicine, noodles and dried goods the earthquake zone. 01/16/01 Click Here To See A Press Clipping For This Event! A magnitude 7.9 earthquake struck El Salvador on January 13 and left unprecedented destruction and death in its wake. Upon hearing the news of this unfolding tragedy, the benefactors and workers of SimplyHelp responded quickly, arranging for the immediate shipment to the disaster area of 45-foot container containing 55,000 lb of relief supplies including clothing, rice, beans, flour, and canned and dried goods.